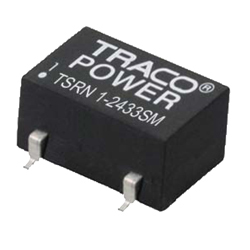 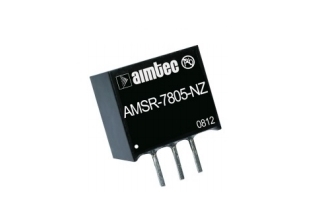 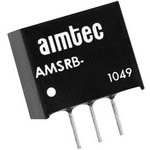 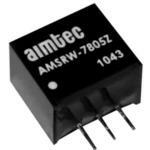 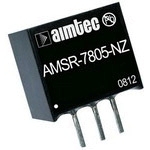 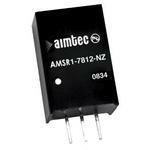 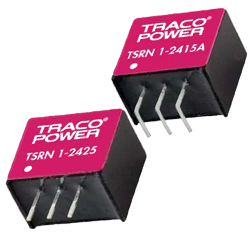 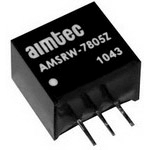 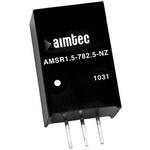 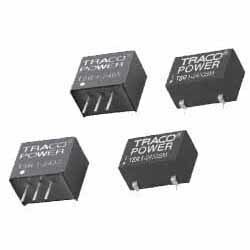 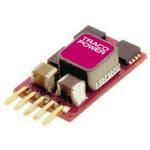 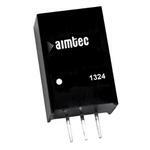 the non-isolated power conversion traditionally reserved for linear regulators. 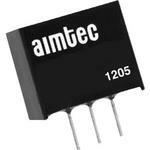 their efficiency and thermal performance. 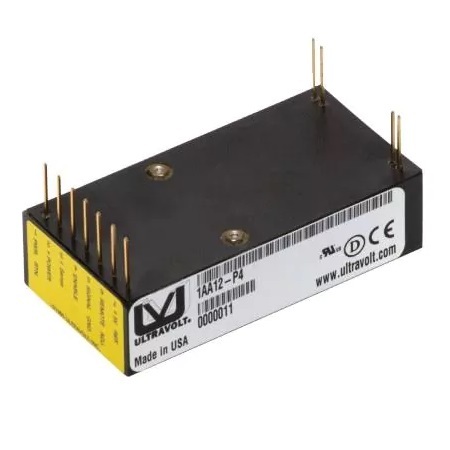 0.75 W,0.9 W,1.25 W,1.65 W,3.25 W,3.6 W,4.5 W,6 W,7.5 W 1 11 -34 VDC,15 -34 VDC,18 -34 VDC,4.75 -30 VDC,4.75 -34 VDC,8 -34 VDC,9 -34 VDC 1.5 VDC,1.8 VDC,12 VDC,15 VDC,2.5 VDC,3.3 VDC,6.5 VDC,7.2 V,9 VDC 65 to 78 - 95 to 97% 0.46 x 0.29 x 0.38"
1 A 1 12 -36 VDC,15 -36 VDC,18 -36 VDC,4.6 -36 VDC,4.75 -36 VDC,6.5 -36 VDC,9 -36 VDC 1.2 V,1.5 V,1.8 V,12 V,15 V,2.5 V,3.3 V,5 V,6.5 V,9 V 74 - 96% 0.46 x 0.40 x 0.30"
1.5 W,1.8 W,2.5 W,3.3 W,5 W 1 4.75 -18 VDC,6.5 -18 VDC 1.5 VDC,1.8 VDC,2.5 VDC,3.3 VDC,5 VDC 72 to 78 - 89 to 94% 0.46 x 0.29 x 0.40"
1.6 A 2 10.5 -42 VDC,13.5 -42 VDC,16.5 -42 VDC,4.6 -42 VDC,6.5 -42 VDC,9 -42 VDC 1.5 V,1.8 V,12 V,15 V,2.5 V,3.3 V,5 V,6.5 V,9 V 77 - 95% 0.46 x 0.40 x 0.30"
1.6 A 2 10.5 -42 VDC,13.5 -42 VDC,16.5 -42 VDC,3 -5.5 VDC,4.6 -42 VDC,6.5 -42 VDC 12 V,15 V,2.5 V,3.3 V,5 V,9 V 87 - 96% 0.60 x 0.37 x 0.29"
1.65 W,2.5 W,3.25 W,3.6 W,4.5 W,6 W,7.5 W 1 14 -72 VDC,17 -72 VDC,20 -72 VDC,9 -72 VDC 12 VDC,15 VDC,3.3 VDC,5 VDC,6.5 VDC,7.2 VDC,9 VDC 75 to 82 - 91 to 95% 0.46 x 0.29 x 0.40"
1.65 W,12 W,2.5 W,3.25 W,4.5 W,6 W,7.5 W 1 14 -72 VDC,17 -72 VDC,20 -72 VDC,36 -72 VDC,9 -72 VDC 12 VDC,15 VDC,24 VDC,3.3 VDC,5 VDC,6.5 VDC,9 VDC 75 to 82 - 91 to 95% 0.45 x 0.35 x 0.69"
1.65 W,2.5 W,6 W,7.5 W 1 14 -28 VDC,17 -28 VDC,4.5 -28 VDC,6 -28 VDC 12 VDC,15 VDC,3.3 VDC,5 VDC 75 to 90 - 92 to 96% 0.60 x 0.47 x 0.29"
1.65 W,2.5 W,6 W,7.5 W 1 4.75 -36 VDC,7 , 6.5 -31 VDC, 36 VDC,8 , 15 -24 VDC, 36 VDC,8 , 19 -21 VDC, 36 VDC -12 VDC, 12 VDC,-15 VDC, 15 VDC,3.3 VDC,-5 VDC, 5 VDC 80 to 86 - 94% 0.39 x 0.28 x 0.43"
1.65 W,2.5 W,3.25 W,4.5 W,6 W,7.5 W 1 11 -32 VDC,15 -32 VDC,18 -32 VDC,4.75 -28 VDC,6.5 -32 VDC,8 -32 VDC 12 VDC,15 VDC,3.3 VDC,5 VDC,6.5 VDC,9 VDC 81 to 91 - 93 to 96% 0.45 x 0.30 x 0.40"
1.65 W,2.5 W,3.25 W,4.5 W,6 W,7.5 W 1 11 -30 VDC,15 -30 VDC,18 -30 VDC,4.5 -30 VDC,6.5 -30 VDC,8 -30 VDC 12 VDC,15 VDC,3.3 VDC,5 VDC,6.5 VDC,9 VDC 77 to 90 - 93 to 96% 0.45 x 0.30 x 0.40"
1.65 VDC,2.5 VDC,6 VDC,7.5 VDC 1 14 -28 VDC,17 -28 VDC,4.5 -28 VDC,7 -28 VDC 12 VDC,15 VDC,3.3 VDC,5 VDC 75 to 89 - 92 to 94% 0.46 x 0.29 x 0.40"
1.65 W,2.5 W,4.5 W,6 W,7.5 W 1 12 -36 VDC,15 -36 VDC,19 -36 VDC,4.75 -36 VDC,6.5 -36 VDC 12 VDC,15 VDC,3.3 VDC,5 VDC,9 VDC 81 - 93% 0.45 x 0.40 x 0.30"
1.8 W,3 A,45 W, - 45 W,9.9 W 1 10 , - 10 -30 VDC, - 25 VDC,10 -30 VDC,2.5 -5.5 VDC,2.5 -5.51 VDC,4.5 -14 VDC 0.6 V,3 V,5 V 91 - 95% 0.61 x 0.37 x 0.24",0.61 x 0.37 x 0.25",0.61 x 0.41 x 0.24",0.65 x 0.41 x 0.25"
12 W,3.3 W,5 W,6.5 W,9 W 1 12 -32 VDC,16 -32 VDC,4.75 -28 VDC,6.5 -32 VDC,9 -32 VDC 12 VDC,3.3 VDC,5 VDC,6.5 VDC,9 VDC 90 - 96% 0.69 x 0.45 x 0.35"
12 W,15 W,3.3 W,5 W,9 W 1 13 -36 VDC,6 -36 VDC,8 , 16 -27 VDC, 36 VDC,8 , 20 -18 VDC, 36 VDC,8 -27 VDC, 36 VDC -12 VDC, 12 VDC,-15 VDC, 15 VDC,3.3 VDC,-5 VDC, 5 VDC,9 VDC 81 to 90 - 94% 0.45 x 0.39 x 0.69"
3.3 W,5 W 1 7 -28 VDC,8 -28 VDC 3.3 VDC,5 VDC 82 to 89 - 86 to 93% 0.46 x 0.30 x 0.40"
12 W,15 W,3.3 W,5 W 1 6 -36 VDC,8 , 16 -20 VDC, 36 VDC,8 , 20 -18 VDC, 36 VDC,8 -27 VDC, 36 VDC -12 VDC, 12 VDC,-15 VDC, 15 VDC,3.3 VDC,-5 VDC, 5 VDC 81 to 90 - 94% 0.45 x 0.30 x 0.69"
3.75 W,5 W,7.5 W,9.75 W 1 4.75 -18 VDC,6.5 -18 VDC,8 -18 VDC 2.5 VDC,3.3 VDC,5 VDC,6.5 VDC 85 to 88 - 93 to 95% 0.45 x 0.35 x 0.69"
20 W,30 W,4 W 1 11 -16 VDC,23 -30 VDC 1000 VDC,125 VDC,2000 VDC,250 VDC,4000 VDC,500 VDC,6000 VDC,62 VDC 2.97 x 1.50 x 0.75"